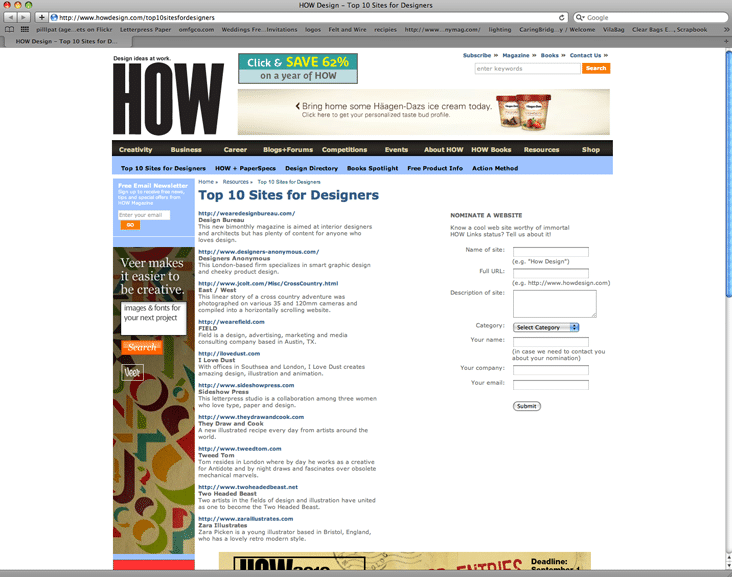 HOW Magazine « Stitch Design Co.
We just received an email this morning from the editor of How Magazine to let us know that the site we designed for our sister company, Sideshow Press, made their “Top 10 Sites for Designers” list. You can check out Sideshow’s mention, as well as the other 9, featured here. The top 10 list will be up on their site for the month of August. Thanks HOW! We are quite flattered to be included. Congratulations! It's always hear of great design getting recognition, especially when its coming out of my hometown!